The Yacht Classic Hotel is a superb boutique waterside hotel, famed for its Turkish hospitality, superior decor and luxurious rooms. The hotel is a mere ten minute stroll to the city center of Fethiye and remains open throughout the year. Located at the water’s edge, our facilities offer a warm family atmosphere. The hotel’s image reflects our centuries-old, deep-rooted Mediterranean culture, blended with the most modern amenities available. The rooms, with their exquisite sea view have the quality of the best five-star hotels. We offer family, deluxe, superior and standard rooms, which are furnished to the highest standards, meeting all guests needs. Guest satisfaction is always our primary concern. The friendly staff serves guests at the outdoor swimming pools, located in the garden as well as at the sun tanning areas, pool bar, and restaurant. The Yacht Classic Hotel dining facilities offer an extraordinary taste ensuring that you will enjoy your meals as much as your holiday. 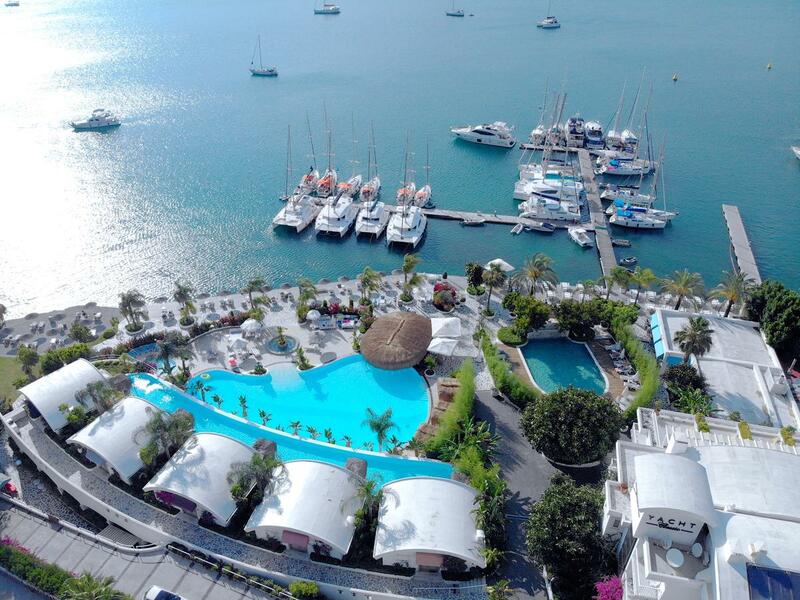 The Yacht Classic hotel is located by the water on the Gulf of Fethiye. The Dalaman Airport is a 50 km drive from the Yacht Classic Hotel and it is a 5 minute walk to the city center, 15 minute walk to the remnants of Thelmessos, 15 minute walk to Lycia Rock Tombs, and 25 km drive to the Saklıkent Gorge. The nearest public beach in Calis is within 3.5 km and Oludeniz is 12 km away from our hotel.